I have this image of brains. Not actual gross anatomical brains, but up close, CGI wisps of semi-translucent colors. Of high magnification images. Stained and dyed. Inside of these brains are signals that move, flashed of light that travel like subway cars at light speed. There is brightness and shining. There are also dark places. 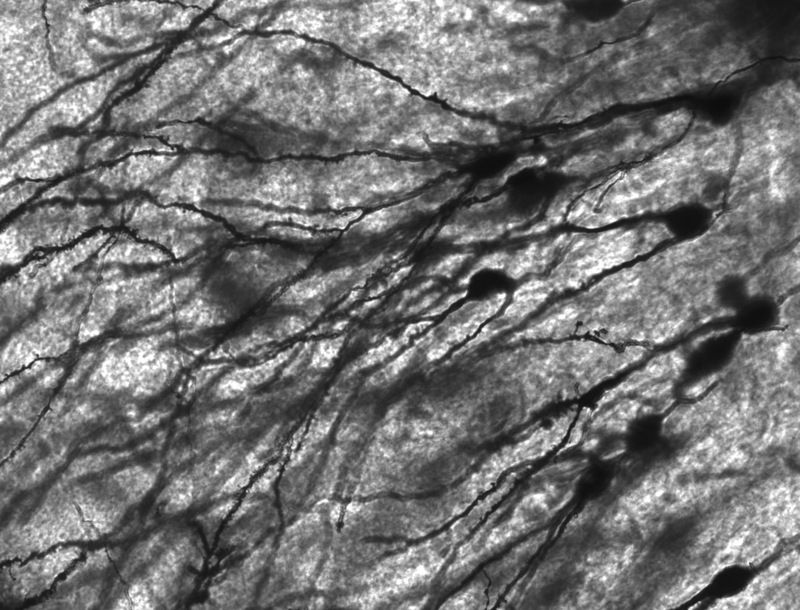 There are things that lurk where nothing else is, hiding among dendrites and axons. These are the little twitches in my head, the thoughts I am ashamed of or uncomfortable with. Unkind things. Things I wish I didn’t think or feel. I imagine that these don’t want to be found, even though I know exactly where they are. I love television. I used to not. I don’t want to say I bought into the idea that television isn’t a thing for the intellectual crowd, but I did. I wanted to be one of those cool intellectual people–and they didn’t watch television. Sure, it was okay to check out some DVDs someone else lent to you, but that wasn’t really watching TV. My junior year I met a girl named JK. JK loved television without shame. She loved the shows that smart people are allowed to love, things by Aaron Sorkin, and those shows that you were just too young for when they were on. (Buffy is a good example for me.) But man, did JK love them. Suddenly it was, at least a little bit, okay. And not just in the sense that my roommate wanted to watch Gilmore Girls, so we sat with her, or seeing Arrested Development while everyone else in the dorm watched it. Studio Sixty on the Sunset Strip was one of the first major forays into shows on the air. This past fall I picked up Grimm, Once Upon A Time, and Pan Am. This fit into the already rotating docket of various things I catch up on in batches. Shows on hulu I watch as they come out. Sometimes a small stack will fill up–there are some four episodes of Sanctuary (something I mostly use for background noise) waiting. Otherwise, I binge. I wait and wait and then grab them all at once and drop them into a queue to devour nearly non-stop. I became reliant on television while living alone in Korea. My hours left me at a loss most of the time, lonely in my apartment–the whole place was as big as the room I have now. It was quiet and I would fill the silences and emptiness with any voice I could pluck off the internet and feed into my room. One of the things I did when I came back to America was to sit with my dad and work our way through Stargate Universe and Caprica. We’d always bonded over scifi shows–it had been a family thing–but the tivo allowed us to treat it as a visual feast of Thanksgiving like proportions. And there was something pretty great about that.